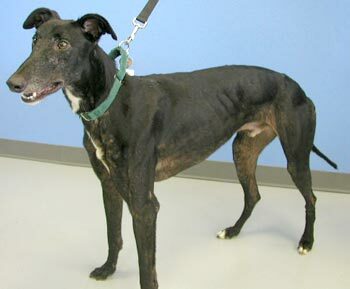 Waco is a 4-year-old handsome black boy, born August 1999. Waco was turned into the shelter at Waco along with Ringo. His registration tattoos are hard to read, so his identity has not been clarified yet. 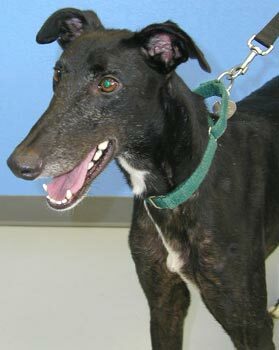 He is a fairly good-sized greyhound, with a smile and personality to match! Waco enjoys being around other large dogs, but he is not small animal or cat tolerant.